As the dust settles after an emotionally intense Friday evening at the Somers Town Community Centre, it’s time to recap the results from the four wards we’ve been covering. Labour managed the clean sweep here (something residents will hope they can do to the streets as well), with the shock being the removal of Keith Moffitt. One suspects that if Keith had been standing in Fortune Green he’d have got back in, but the slightly more transient nature of the West Hampstead population may well have meant that national politics played a larger role here and his personal reputation counted for less. Hard to know what’s more astonishing here: Flick coming top of the poll on a day when the Lib Dems were obliterated nationally or Labour dispatching the Tories into a distant third. 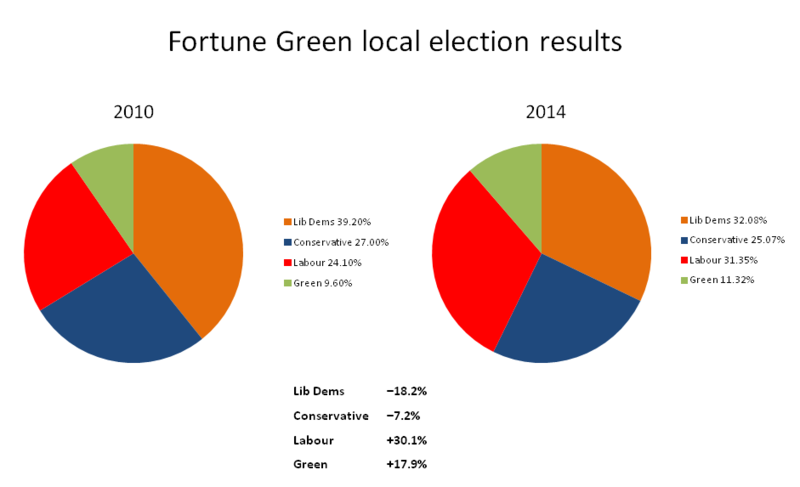 The Lib Dems actually came top in Fortune Green with 32.1% of the vote, vs. Labour’s 31.3%. 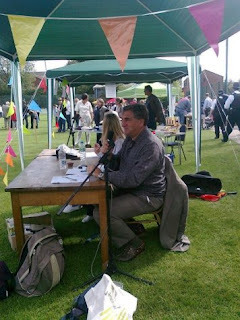 The Conservatives were well back at just 25%, although Ian Cohen’s 893 placed him fifth overall only 11 votes off fourth placed Phil Turner. Despite the outspoken animosity between some Labour people and Flick, hopefully these three councillors can work together on local issues. It was billed as a two-way fight, and that’s exactly what it was although in the end Labour’s margin of victory was more comfortable than many had thought. 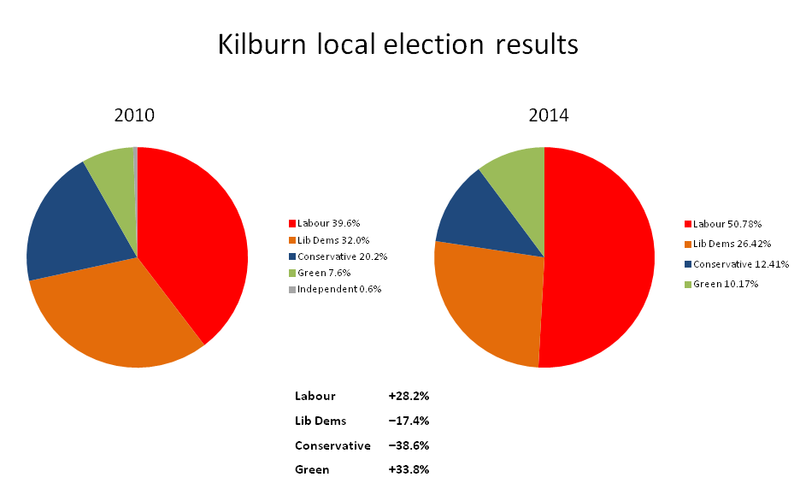 The Lib Dems – two of whom are former Kilburn councillors – found that their local credentials weren’t enough to unseat the incumbent Labour couple who have moved out of the area, while Mike Katz’s replacement came top of the poll. 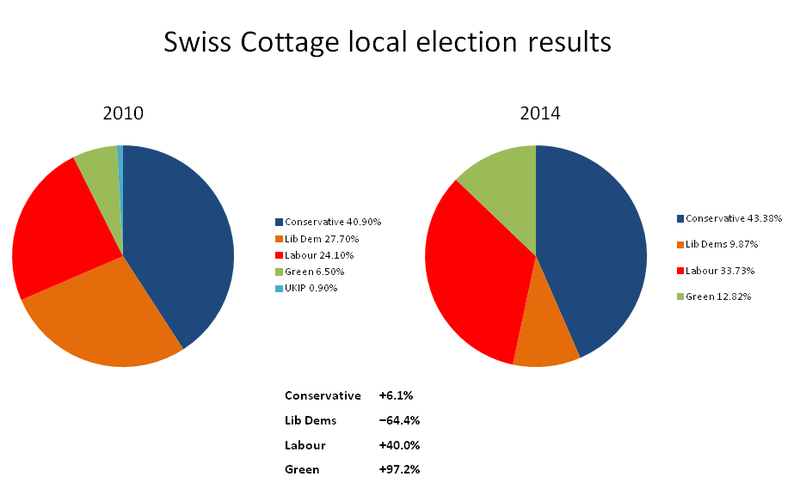 A low turnout in Swiss Cottage, which is predominantly made up of the redbrick properties of South Hampstead. 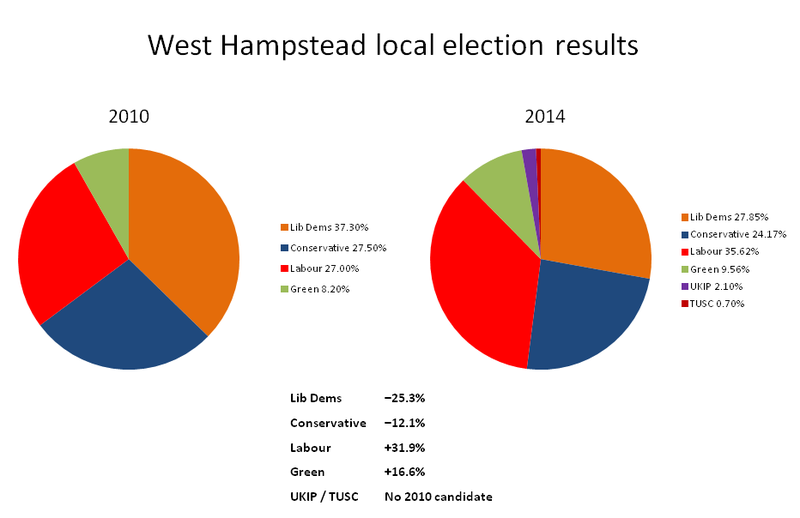 The Conservatives were always expected to hold this comfortably, but in the end the margins were a little close for comfort, with Labour polling very strongly indeed – in no other local ward did two candidates get more than 1,000 votes and not get a seat.